Desert Sand Mica 2004 Toyota Sienna XLE FWD FWD 5-Speed Automatic with Overdrive 3.3L V6 SMPI DOHC 24V 19/27 City/Highway MPG Awards: * 2004 KBB.com Best Road Trip Vehicles Here at Jay Wolfe Toyota, we've been happily serving the Kansas City area for 60 years! For sales, service, and parts we are easy to work with and love creating customers for life. Please visit our website at http://www.jaywolfetoyota.com. ABS brakes, Illuminated entry, Low tire pressure warning, Remote keyless entry. Clean CARFAX. Desert Sand Mica 2007 Toyota Camry LE FWD 5-Speed Automatic with Overdrive 2.4L I4 SMPI DOHC Here at Jay Wolfe Toyota, we've been happily serving the Kansas City area for 60 years! For sales, service, and parts we are easy to work with and love creating customers for life. Please visit our website at http://www.jaywolfetoyota.com. Clean CARFAX. Sunfire Red Pearl 2002 Toyota Tundra SR5 RWD RWD 5-Speed Manual with Overdrive 3.4L V6 SMPI DOHC Here at Jay Wolfe Toyota, we've been happily serving the Kansas City area for 60 years! For sales, service, and parts we are easy to work with and love creating customers for life. Please visit our website at http://www.jaywolfetoyota.com. ABS brakes, Electronic Stability Control, Illuminated entry, Low tire pressure warning, Remote keyless entry, Traction control. CARFAX One-Owner. Clean CARFAX. Barcelona Red Metallic 2011 Toyota Camry LE FWD 6-Speed Automatic Electronic with Overdrive 2.5L I4 SMPI DOHC Recent Arrival! Awards: * JD Power Dependability Study * 2011 KBB.com 10 Best Used Family Cars Under $15,000 * 2011 KBB.com Brand Image Awards Reviews: * Roomy cabin, extraordinarily refined and fuel-efficient V6, quiet and cushy ride, excellent crash test scores. Source: Edmunds * If you're you looking for a midsize sedan that offers outstanding quality, excellent resale value and a proven record of reliability - and you don't mind driving the same car as millions of other Americans - the 2011 Toyota Camry is for you. Source: KBB.com Here at Jay Wolfe Toyota, we've been happily serving the Kansas City area for 60 years! For sales, service, and parts we are easy to work with and love creating customers for life. Please visit our website at http://www.jaywolfetoyota.com. Clean CARFAX. CARFAX One-Owner. This vehicle is value priced to sell quickly! Detailed and serviced to provide a great value for the money. Will sell quickly at this price. Give us a call for more details or to check availability 816-307-2640. Odometer is 90352 miles below market average! Jay Wolfe Honda is the #1 volume Certified Pre-owned dealer in the Kansas City metro area. Big selection and pricing that is determined by competitive analysis each and every day. No haggle necessary. Each vehicle is reconditioned and detailed to meet the high standards of Honda Certification. No additional charge for certification. Call 816-307-2640 for more information or to set an appointment. ABS brakes, Electronic Stability Control, Illuminated entry, Low tire pressure warning, Remote keyless entry, Traction control. Clean CARFAX. Jay Wolfe Honda is the #1 volume Certified Pre-owned dealer in the Kansas City metro area. Big selection and pricing that is determined by competitive analysis each and every day. No haggle necessary. Each vehicle is reconditioned and detailed to meet the high standards of Honda Certification. No additional charge for certification. Call 816-307-2640 for more information or to set an appointment. CARFAX One-Owner. This vehicle is value priced to sell quickly! Detailed and serviced to provide a great value for the money. Will sell quickly at this price. Give us a call for more details or to check availability 816-307-2640. Odometer is 49550 miles below market average! Jay Wolfe Honda is the #1 volume Certified Pre-owned dealer in the Kansas City metro area. Big selection and pricing that is determined by competitive analysis each and every day. No haggle necessary. Each vehicle is reconditioned and detailed to meet the high standards of Honda Certification. No additional charge for certification. Call 816-307-2640 for more information or to set an appointment. CARFAX One-Owner. Clean CARFAX. Nautical Blue Metallic 2013 Toyota Corolla LE FWD 4-Speed Automatic 1.8L I4 DOHC Dual VVT-i Odometer is 27670 miles below market average! 26/34 City/Highway MPG Awards: * 2013 KBB.com Brand Image Awards * 2013 KBB.com Best Resale Value Awards Every day in every way, nice people. Conveniently located at 10 NW Barry Rd in Kansas City, MO. Call us at (816) 437-2100 or visit our website at http://www.jaywolfeusedcars.com/. Clean CARFAX. Green 1996 Acura TL 2.5 FWD 4-Speed Automatic 2.5L I5 Odometer is 18703 miles below market average! Every day in every way, nice people. Conveniently located at 10 NW Barry Rd in Kansas City, MO. Call us at (816) 437-2100 or visit our website at http://www.jaywolfeusedcars.com/. ABS brakes. Clean CARFAX. Red 1999 Ford Ranger XLT RWD 5-Speed Manual with Overdrive 3.0L FFV V6 Every day in every way, nice people. Conveniently located at 10 NW Barry Rd in Kansas City, MO. Call us at (816) 437-2100 or visit our website at http://www.jaywolfeusedcars.com/. Brilliant Black 2007 Mazda Mazda5 Grand Touring FWD 4-Speed Automatic Sport with Overdrive 2.3L I4 DOHC VVT 16V 21/26 City/Highway MPG Every day in every way, nice people. Conveniently located at 10 NW Barry Rd in Kansas City, MO. Call us at (816) 437-2100 or visit our website at http://www.jaywolfeusedcars.com/. ABS brakes, Electronic Stability Control, Illuminated entry, Low tire pressure warning, Remote keyless entry, Traction control. Graphite Gray Pearl 2007 Mitsubishi Outlander ES FWD FWD 6-Speed Automatic with Sportronic 3.0L 6-Cylinder SMPI SOHC 20/27 City/Highway MPG Here at Jay Wolfe Toyota, we've been happily serving the Kansas City area for 60 years! For sales, service, and parts we are easy to work with and love creating customers for life. 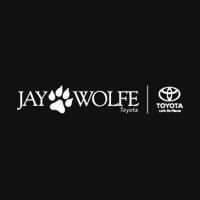 Please visit our website at http://www.jaywolfetoyota.com. Recent Arrival! Clean CARFAX. Sandstone/Warm Gray Cladding 2004 Hyundai Santa Fe GLS 2.7L V6 FWD 4-Speed Automatic with Shiftronic 2.7L V6 MPI DOHC 24V Federal 173hp Odometer is 59442 miles below market average! 20/26 City/Highway MPG Every day in every way, nice people. Conveniently located at 10 NW Barry Rd in Kansas City, MO. Call us at (816) 437-2100 or visit our website at http://www.jaywolfeusedcars.com/. Recent Arrival! Clean CARFAX. Cashmere Metallic 2005 Buick LeSabre Custom FWD 4-Speed Automatic with Overdrive 3.8L V6 SFI Odometer is 45868 miles below market average! 20/29 City/Highway MPG Every day in every way, nice people. Conveniently located at 10 NW Barry Rd in Kansas City, MO. 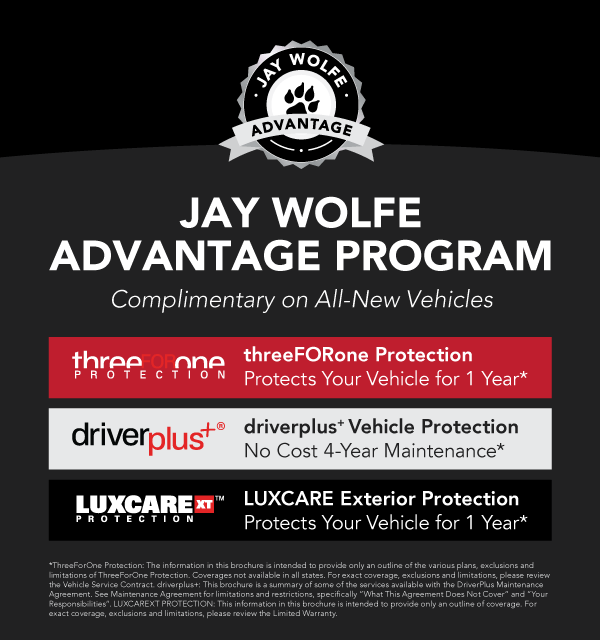 Call us at (816) 437-2100 or visit our website at http://www.jaywolfeusedcars.com/. Navigation / GPS**, Heated Leather Seats**, USB Port / Input**, New Tires**, Moonroof / Sunroof**, Accident Free Carfax History Report**, Fresh Trade**, Premium Sound Package, JAY WOLFE Acura BACK LOT BARGAIN. Clean CARFAX. Taffeta White 2005 Acura MDX 3.5L V6 SOHC VTEC 24V Touring Navigation 17/23 City/Highway MPG Number 1 Value Pricing assures you the most competitive pricing in the Midwest! CARFAX One-Owner. White Diamond Pearl 2010 Honda Accord LX 2.4 FWD 5-Speed Automatic with Overdrive 2.4L I4 DOHC i-VTEC 16V 21/31 City/Highway MPG Reviews: * With styling and performance that splits the difference between the sportier Nissan Altima and softer Toyota Camry, the Honda Accord embodies the very balance that attracts so many buyers to the mid-size sedan segment in the first place. In terms of all-around quality and refinement, the Accord registers off the chart. Source: KBB.com Here at Jay Wolfe Toyota, we've been happily serving the Kansas City area for 60 years! For sales, service, and parts we are easy to work with and love creating customers for life. Please visit our website at http://www.jaywolfetoyota.com. Heated Leather Seats**, Moonroof / Sunroof**, Accident Free Carfax History Report**, Great Service History**, Premium Audio Package, Cruise Control, Keyless Entry, Premium Wheels. Clean CARFAX. Nighthawk Black Pearl 2006 Acura TL 3.2L V6 SOHC VTEC 24V 20/29 City/Highway MPG Number 1 Value Pricing assures you the most competitive pricing in the Midwest!